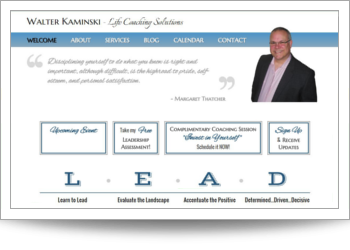 Dynamic quotes and stream-lined design to emphasize 'Leadership' coaching. Blog format, eZine-to-website updates. Google-driven calendar and custom contact form.